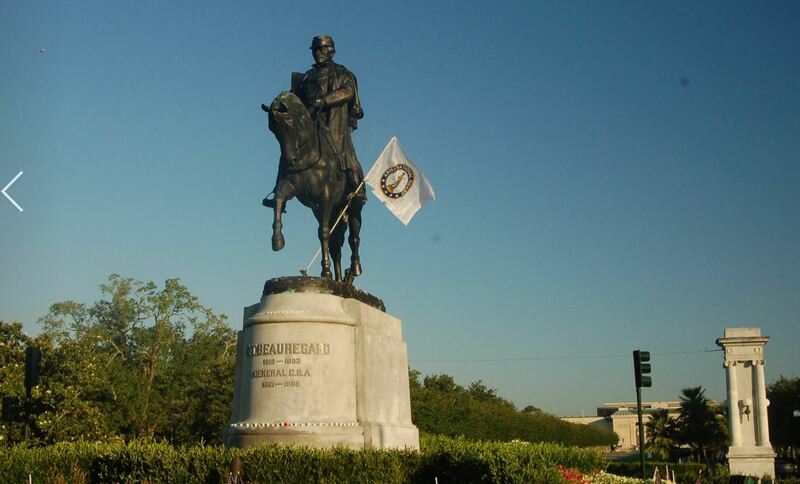 In May 2017, Former New Orleans Mayor Mitch Landrieu had the Foundation for Louisiana remove a priceless bronze statue from land the City tendered for free to the Beauregard Monument Association in 1905. 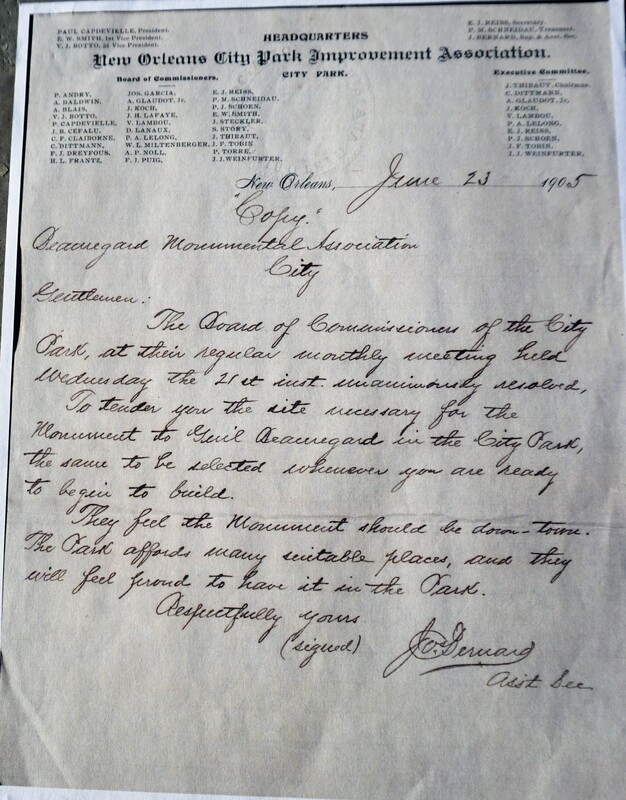 In 1905, the City Park Improvement Association Board voted to Tender the land for Free that became known as Beauregard Circle to the Monument Association. At the time the Monument Association had the option to place the statue on the grounds of Camp Nicholls Veteran Home, located just across Bayou St. John. City Park benefited by having a beautiful piece of art to draw people to the park. 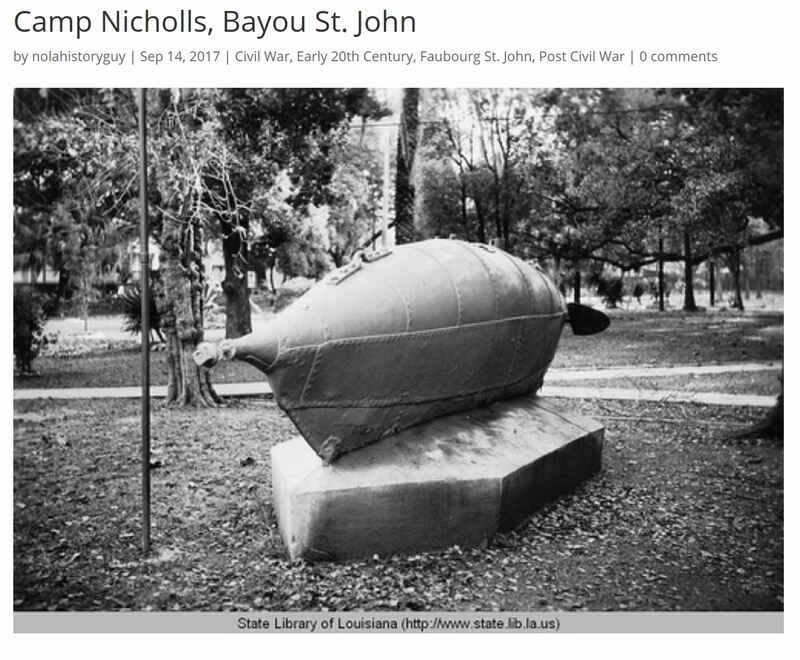 The Camp Nicholls Veterans' Home obtained a submarine discovered in 1909 at the end of Bayou St. John and displayed it. The Veterans' Home was raised with private funds and opened in 1884 to care for veterans. It would have been a suitable place for the Beauregard Statue had not City Park desired the statue to increase traffic to the park. In 1915 the Beauregard Statue was placed across the Bayou from Camp Nicholls. 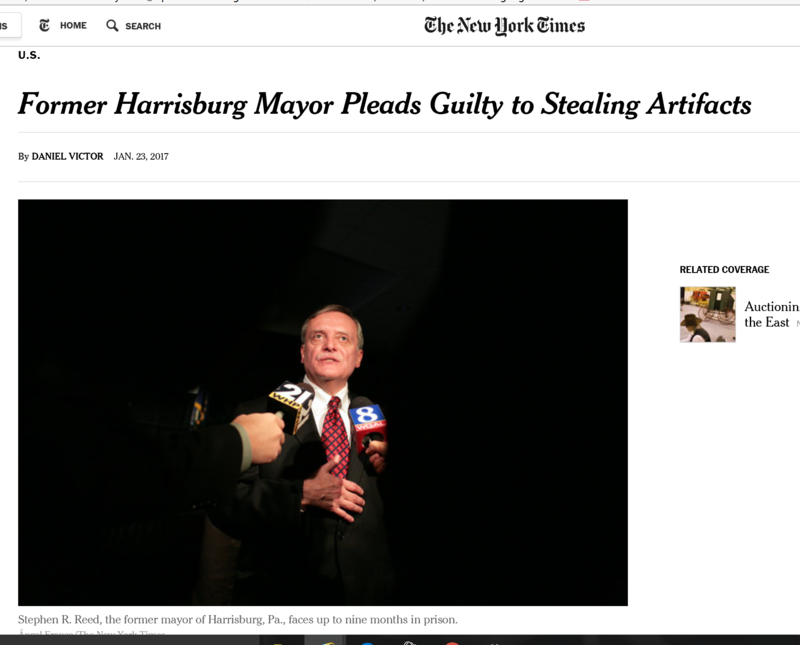 Former Mayor Stephen Reed of Harrisburg, PA was convicted of stealing $30 Million in artifacts for a Wild West Museum in January 2017. 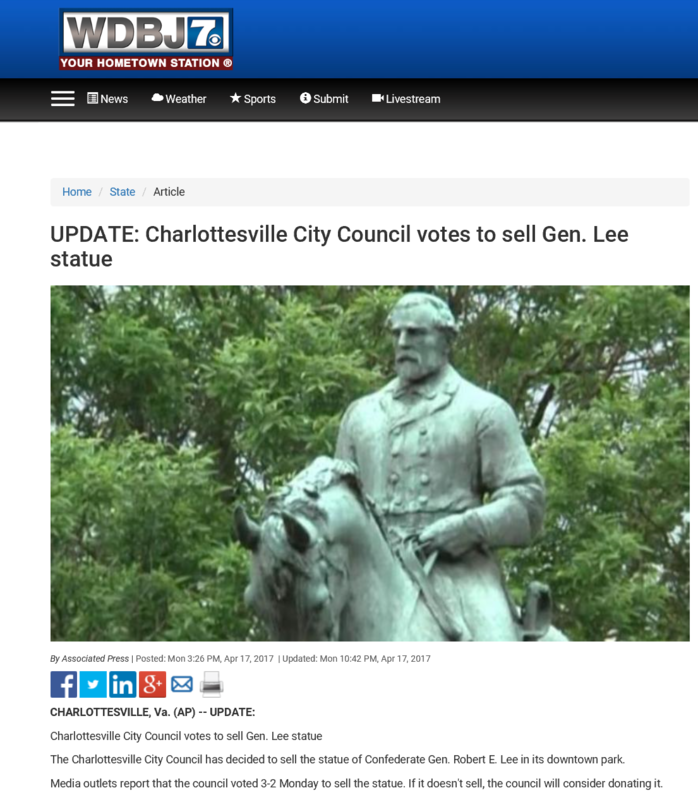 The City of Charlottesville's City Council voted to sell its Robert E Lee Monument. The City of New Orleans' City Council & Mayor's office has refused to discuss its plans on a Council Agenda in over 2 years. 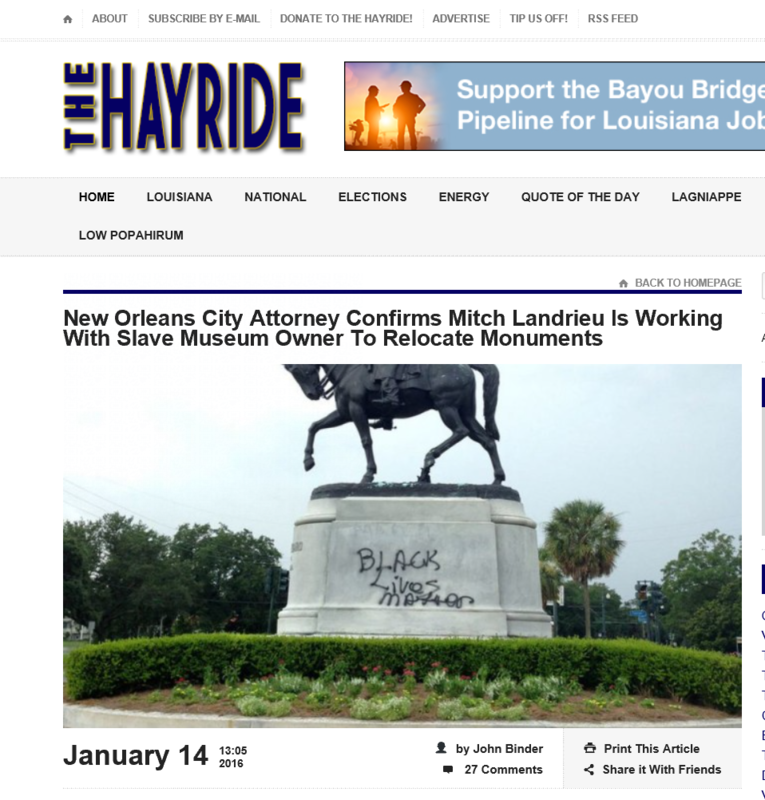 According to The Hayride, a City Attorney confirmed the Mayor's Office is in discussions with a Private Museum on Slavery to display New Orleans Monuments worth millions. The precedent being established would allow a future mayor to "repay" campaign donors by declaring public art a "Nuisance" and transferring possession to donors. The city spent over $2 million to remove the statutes and left the pedestals for future expenditures. Don't let a misguided policy by the City Council and their errors in Due Process allow the Mayor to transfer art that took on the average 15 years to fundraise by hundreds of citizens to private collectors. During the meetings: 1. The Council did not review the Heritage Preservation Section of the City Code. 2. Did not review monuments one by one by separate motion. 3. 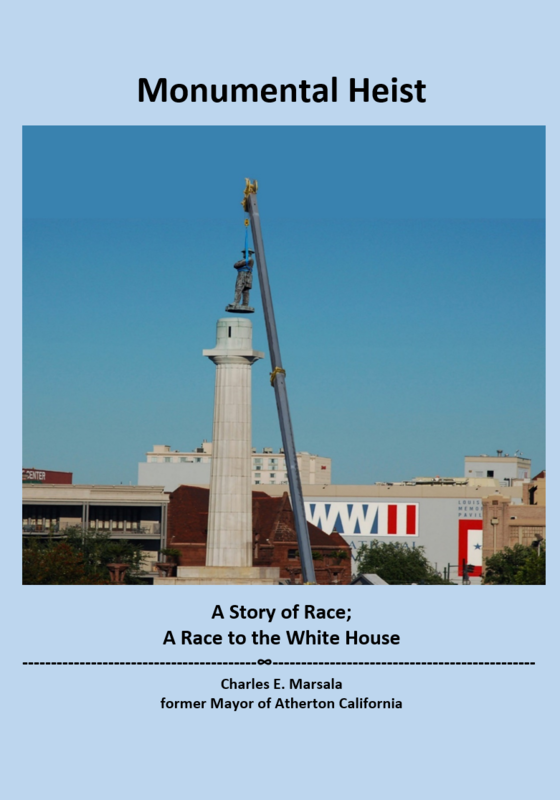 Did not give a Preservationist equal time of 10 uninterrupted minutes to respond to the mayor's false statements regarding the "Context" in which the monuments were erected and who these men were. 4. At the end of the December 2015 meeting the Mayor stated these four monuments are just the start. 5. 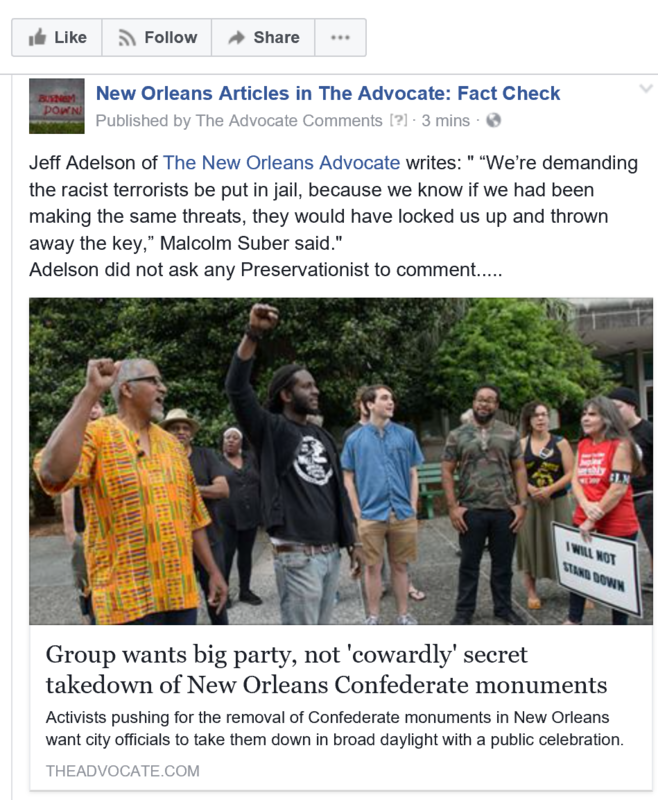 Now Activist groups want to remove 100 monuments from New Orleans.